The trajectory of the Saudi Arabian economy is one of the contemporary world’s great unknowns. The possible flotation of the huge Saudi state-owned oil company Aramco implies a profound change in a country long dominated by oil. 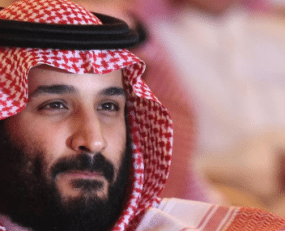 The young Crown Prince Mohammed bin Salman, who appears to fill a sort of CEO role in today’s Kingdom, aspires to use the revenues from any sales of equity in Aramco to invest in new infrastructure designed to facilitate a new non-oil dependent economy. Unsurprisingly, high on the list of industries that Saudi Arabia is ambitious to develop is chemical production. Already the developments along the north-eastern coast are vast and supported by equally large chemical ports and road networks. However, the Kingdom is ambitious to go beyond just bulk commodities and is attempting to attract ‘down-stream’ speciality chemical manufacturers as well as related sectors such as plastic products in sectors such as the car industry. The target is to increase non–oil exports more than ten-fold, from 200 billion riyals today to 2.5 trillion riyals in 2030. However, this diversification cannot be achieved without broadening the logistics provision in the Kingdom. The existing huge logistics facilities that characterise the oil, gas and bulk chemicals sector in places such as Ras Tanura, are natural monopolies and their operations are essentially questions of engineering. The demands of moving non-hydro-carbon higher value products is very different. Although Saudi has significant container ports on the Red Sea and the Persian Gulf, it needs to develop the support service capabilities. The situation is the same with airfreight, where the quality and selection of services is a shadow of what is available in Dubai. Generally, the markets in Saudi Arabia are dominated by a small number of providers, and in many cases just one. The situation in particularly acute in areas such as customs brokerage. Indeed, the whole area of Saudi customs processes is central to the integration of the country not just in global supply chains but even into regional ones, such as traffic passing through the UAE. The metamorphosis of the Saudi Arabian economy will be difficult, not least because it will require challenging of vested interests. Saudi Arabia needs to draw in investment in logistics services from outside the Kingdom and to do this it has to offer more open markets. That said, it does offer attractive opportunities to logistics service providers if Prince Mohammed bin Salman is able to deliver on his ambitions.